Make your computer faster and more efficient. 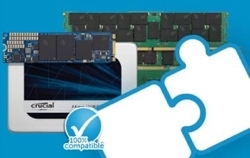 The Crucial MX100 SSD is a legacy product and is no longer available. The Crucial MX100 provides plenty of cost-effective storage for your photos, music, videos, and documents - all while backing your data with a higher level of reliability than a hard drive or competing SSD. Run your system longer than ever before - using less power. Protect all of your data - even if the power goes out. When a photo or file gets corrupted, it often becomes unusable. Prevent this from happening in the first place with the Crucial MX100 SSD, which arms every storage component with four layers of Exclusive Data Defense to guard against corrupt files. Adaptive Thermal Protection technology enables the Crucial MX100 to dynamically adjust storage component activity based on how you're using the drive, allowing your system to stay cool and react to changes in use. Boot up almost instantly. Load programs in seconds. Accelerate demanding applications. And encrypt and protect your data with no loss in performance. Save and transfer files in seconds rather than minutes. Our exclusive Native Write Acceleration technology spreads the drive's workload across several elements, enabling you to write data in seconds rather than minutes. Keep personal files and sensitive information secure from hackers and thieves with AES 256-bit encryption - the same grade used by banks and hospitals. The Crucial MX100 is one of the only drives available that meets Microsoft®eDrive®, IEEE-1667, and TCG Opal 2.0 standards of encryption. Attain consistently fast speeds without compromising the reliability of your data. Our engineers created RAIN technology to protect your data at the component level, similar to how RAID is used with multiple hard drives. 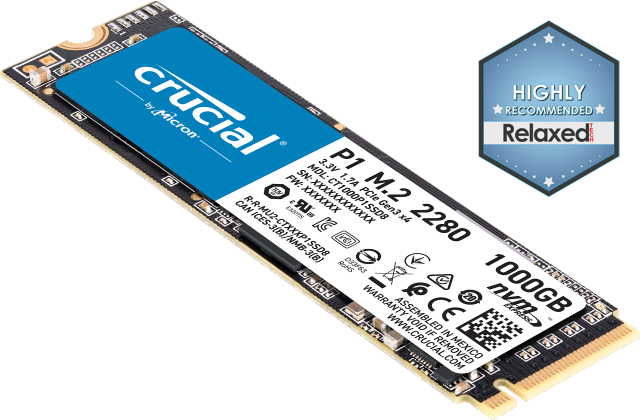 This enterprise-class technology increases the security and protection of your data to a level that's rarely available in consumer-class SSDs. Hard drive active average power use based on published specs of 1TB Western Digital® Blue WD10JPVX internal hard drive. According to NPD data published February 2014, this was one of the most popular hard drives available and an accurate reflection of a common internal hard drive. Performance level based on comparative AS SSD benchmark ratings of 512GB Crucial MX100 SSD and 1TB Western Digital® Blue 7200 RPM hard drive (WD10EZEX-00U). Actual performance levels may vary based on benchmark used and individual system configuration. Test setup: Intel® DZ87KLT-75K motherboard, Intel i7-4770K 3.50GHz processor, BIOS Rev. 0446, and Windows® 7 Ultimate 64-bit operating system using AS SSD test suite.